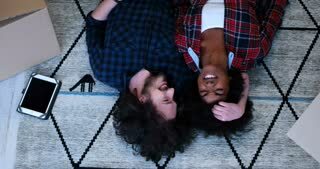 Search Results for "multiracial couple"
Content multiracial couple with son sitting in car and talking with dealer in auto shop giving credit card for payment to manager. Content multiracial couple with son sitting inside of car and investigating purchase talking to dealer in shop. Smiling multiracial couple in sportswear training together and doing same exercise on background of green park. 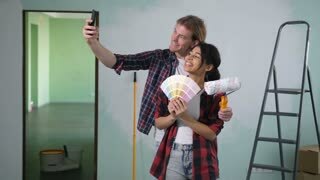 Carefree playful multiracial couple with tools having fun, dancing while renovating house interior. Joyful happy family in casual clothes with paint rollers, relaxing dancing during makeover home. 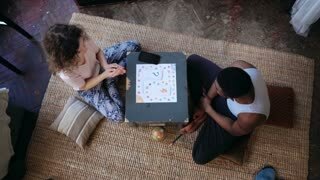 Mischievous multiracial couple renovating their new house interior, dancing happily and carefreely indoors. Joyful man giving piggyback ride to excited woman with paint roller during home makeover. 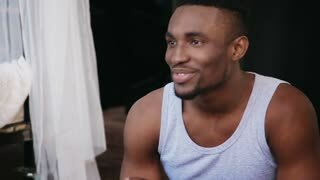 Beautiful multiracial couple sitting on green lawn in park and chatting with laughter looking at each other in sunshine. 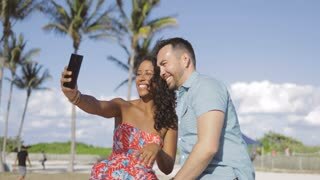 Content multiracial couple using smarpthone and chatting online waving at camera and laughing on background of tropical park. Multiracial couple in pajamas on the bed in morning. Young man taking photos on the old photocamera, woman is posing. Young beautiful woman lying on the man in pajamas. Multiracial couple hugging on the bed, holding hands and smiling. Woman offers pizza to man, but eat slice by herself. Multiracial couple having fun during the meal with fast food.